Estonian President Kersti Kaljulaid attended a formal prize ceremony in Münster, Germany, yesterday, Saturday, and collected the Peace of Westphalia Prize for contributions made to Europe's democratic and peaceful development on behalf of Estonia. 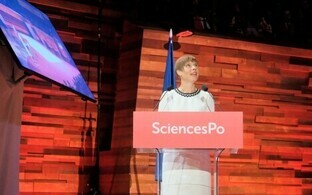 "When accepting the award, I think of Narva, a border city of the European Union, which in a similar way to Münster was destroyed in World War II, but unlike Münster, was not rebuilt along the same lines," Ms. Kaljulaid said, contrasting post-war reconstruction in the former West Germany with that of the Soviet Union and the Soviet controlled Warsaw Pact nations. "Now that Narva is applying to be the European Capital of Culture, we can once again restore that former European heritage - if not in architecture, then at least in spirit," she went on. The prize was founded to celebrate the 350th anniversary of the Peace of Westphalia and is to be awarded every two years to those who have contributed to maintaining the unity of Europe. The prize this year was awarded jointly to all three Baltic states, which all celebrated their centennial year of independence this year. Ms. Kaljulaid has reportedly opted to utilise Estonia's prize money from the award in support of the activity of the Estonian Agrenska Foundation and Kiusamisvaba Kool. The Kiusamisvaba Kool foundation has been operating since the end of 2012 and is aimed at reducing bullying in Estonian schools, using the KiVa program developed by researchers at the University of Turku, Finland, which has as of now has reached 50 schools in Estonia. The Estonian Agrenska Foundation is a counselling and development centre for children and youth with disabilities and their families. Both as an organiser of camps as well as a provider of care service for children with severe and profound disabilities, the foundation is one of the largest operators of its field in Estonia, enabling families caring for children with disabilities vacation possibilities necessary for them. "We are lucky to live at a time and in a place where, when speaking about peace, we primarily mean a sense of security,'' Ms. Kaljulaid said, when explaining her choice of beneficiaries. ''Unfortunately, there is not always an equal amount of sense of security for everyone. Both organisations that will receive the support help those weaker and more vulnerable than us – young people with severe disabilities and their families as well as victims of school bullying,'' she went on. ''They [the organisations] are handling this exceptionally well, and this way we can believe that when the current young generation reaches adulthood, there will be significantly fewer such problems," the President went on. Kersti Kaljulaid was in Germany at the end of the week, attending functions in the state of North Rhine-Westphalia and meeting with local leaders and dignitaries. The Presidents of Latvia and Lithuania, Mr. Raimonds Vējonis and Ms. Dalia Grybauskaitė were also in attendance at the award ceremony. The 1648 Peace of Westphalia, which as its name suggests was concluded in the very region the Estonian President was visiting, dealt at the time with the resolution of decades of warfare in Europe, including the Thirty Years' War. 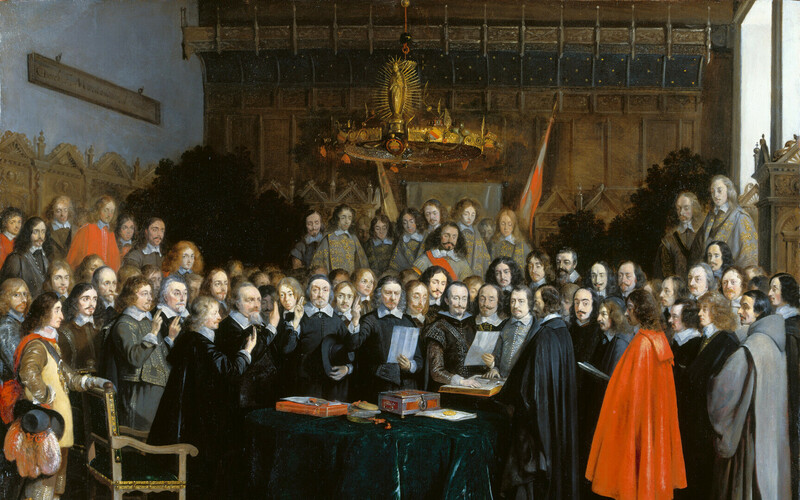 The wars had a religious dimension to them; one result of the treaty was the recognition of the independence of the Dutch Republic by its former overlord Spain. One modern day legacy of the Peace of Westphalia is the principle of each nation state having exclusive sovereignty over its own territory.